Glaucoma is a disease of the optic nerve (the “cable” of the eye that transmits to the brain the information about what we see) in which there is slow, progressive loss of its fibres. In most cases (over 70%), it is associated with high pressure of the eye, even though up to 30% of patients may display normal pressure at the time of diagnosis. If left untreated, it can have an irreversible effect on eyesight and lead to blindness. 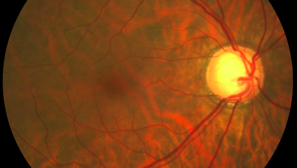 Welcome to iGLAUCOMAblog, the Institut de la Màcula blog devoted entirely to glaucoma. My name is Dr. Marta Pazos and I am a specialist in the diagnosis and monitoring of glaucoma and its medical, laser and surgical treatment. The blog is aimed at those who are interested in learning more about the condition. It provides rigorous and comprehensible information about the different types of glaucoma, the risk factors and the main recommendations by experts on the disease, together with other content. In addition, iGLAUCOMAblog is intended to be a two-way platform where we will attempt to resolve the queries of our readers and patients. As with most diseases, early detection of glaucoma is vital.